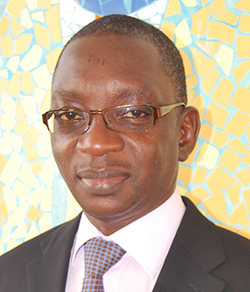 The World Federation of Neurology (WFN) has established Teaching Centers for training young neurologists in Africa. The first Teaching Center opened at the Department of Neurology of Mohamed V. Souissi University in Rabat in 2014, and now also the Department of Neurology of Cairo University will participate. The WFN will offer a three-year training course in Rabat (French speaking), and a one-year training course in Cairo (English speaking), starting in September 2015. The WFN will cover travel costs, tuition and a monthly allowance for living expenses for this period. Persons from Africa can apply for a teaching course in either Rabat or Cairo, according to the conditions and criteria specified on the WFN website. To apply, applicants must submit their CV, a supporting statement indicating which training program they wish to apply for and a letter of recommendation from the dean of their department by Friday, July 3, 2015, by email to enkanagu@kenes.com. The applications will be accepted from Friday, May 15, 2015, until Friday, July 3, 2015. A commission of the WFN will select the most suitable candidates. 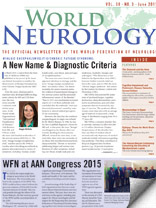 For more information on the training programs, the selection criteria and the process, visit the WFN website: www.wfneurology.org. The International Diploma on Mental Health, Human Rights and Law is currently accepting applications for the academic year 2015-16. The diploma, now in its eighth year, is a collaboration between the World Health Organization and the ILS Law College in Pune, India. The course builds the capacity of students to advocate for human rights and to influence national legislative and policy and service reform in line with the U.N. Convention on the Rights of Persons with Disabilities and other key international human rights standards. It is a one-year diploma and includes two residential sessions and distance learning. Students to date comprise health and mental health professionals, lawyers, mental health service users/survivors, government officials, social workers, human rights defenders, families and careers. The course is taught be a faculty of renowned international experts in the area. More information about the diploma is also available at www.cmhlp.org/diploma. The prospectus and application forms are available at http://cmhlp.org/applications-and-fees/download-prospectus-and-forms. In addition, the Open Society Institute (OSI) will provide funding for two students from Central and Eastern Europe/former Soviet Union to participate in the course. These are fully funded fellowships and include tuition fees, travel, accommodations and living expenses for the residential sessions. If you are interested and qualify for this grant, please state on your application that you wish to be considered for the OSI fellowships. The course will start Monday, Oct. 12, 2015, with a two-week residential session, at the Faculdade de Ciàªncias Médicas campus in Lisbon. A second two-week residential session will take place April 4 in Lisbon. Between the two residential sessions, the students will participate in e-learning teaching activities under the orientation of supervisors. The second year of the course will be dedicated to the development of a project and the elaboration of the dissertation, under the orientation of a supervisor. Additional information about the course can be found at the following site: www.fcm.unl.pt. Epilepsy is one of the most common neurological diseases in world with an estimated more than 50 million people affected around world. It affects people of all ages. Almost 50 percent have a cause for these epileptic seizures, including stroke, brain trauma, infections, tumors or brain damage during or before delivery of a baby. It may cause three to six times increase risk of premature death. More than 80 percent live in developing countries, and almost 70 percent do not receive any treatment. Stigma and discrimination are important aspects of this treatable disease. More than 70 percent of people with epilepsy can lead a normal life with treatment. These were the facts and figures that inspired the World Federation of Neurology to select “epilepsy” as a theme for 2015 World Brain Day campaign. 2015 is a landmark year in history of epilepsy. The World Health Assembly adopted the resolution, titled “Global burden of epilepsy and the need for coordinated actions at the country level to address its health, social and public knowledge implications.” This resolution is a call for action from member countries and stakeholders. The World Brain Day campaign will be jointly organized by WFN, the International League Against Epilepsy (ILAE) and the International Bureau of Epilepsy (IBE). Both of these organizations have been working for decades to improve public awareness, doctors’ training and advocacy. We urge our delegate societies to work with local ILAE and IBE chapters to organize World Brain Day 2015 activities. Our campaign will focus on prevention of epilepsy. The Public Awareness and Advocacy Committee is in the process of preparing publicity material for this campaign. The material will include logos, banner ads for websites, handbills, brochures, posters, billboards and presentations. There will be a press conference in collaboration with the World Health Organization. A multilanguage press release will be prepared and circulated to delegate societies. The most important target of this campaign is the public. We need to create simple messages in local languages and promote them via electronic, social media, billboards, banner and events. The next important area of intervention is health care authorities and policymakers. Our campaign should result in policy and priority shifts at the national or local level. We have to plan targeted activities to facilitate this outcome. Another important area of intervention is awareness and training of general practitioners, nurses and paramedical staff. Involvement of media is a must. Celebrities, scientists and sports figures with epilepsy could be a part of this advocacy campaign. World Brain Day 2014 was a great success due to participation of large number of delegate national societies organizing activities and media events. Hundreds of newspaper items and media posts were created and shared via electronic, print and social media. World Brain Day 2015 will be extremely productive in spreading the message all around globe, not only to affected people, doctors and health care authorities but to those normal, healthy people who are at risk for developing epilepsy. We can defeat epilepsy by awareness and effective treatment. Wasay is the chair of the Public Awareness and Advocacy Committee. On April 21, 2015, the Editorial Board of the Journal of the Neurological Sciences (JNS) met in Washington, DC. I’m pleased to report that by all measures JNS has shown steady and healthy growth. The number of manuscripts that are submitted to the journal has continued to increase over the past several years. Specifically, 1,718 manuscripts were submitted and reviewed in 2014, compared to 1,520 in 2013. Additionally, the number of full text article downloads via Science Direct increased from 764,832 in 2013 to 807,404 in 2014. By all current indicators, these numbers are expected to increase for 2015. Because JNS is the official journal of the World Federation of Neurology (WFN), the Editorial Board welcomes submissions from around the world. As a measure of this aim, JNS receives articles from authors and institutions around the globe. The majority of submissions come from Asia, Western Europe and North America (U.S. and Canada). As a reflection of the continuing globalization of science and technology, the journal has seen a significant increase in the number of papers from Eastern Europe, the Middle East and Africa. Although a new impact factor (IF) for the journal will not be calculated until later in 2015, we are hopeful that these positive trends will also result in an increase in the IF over the next few years. In our ongoing attempt to enhance accessibility of JNS articles to WFN members, we have selected two more “free-access” articles, which are profiled in this issue of World Neurology. These articles are paired and are presented together. 1) Apostolos Safouris, et al, provide an interesting and instructive case description of an older man with probable Alzheimer’s disease who presented with an episode of acute motor aphasia, which was initially diagnosed as a transient ischemic attack (TIA). Although an initial brain CT-scan did not demonstrate an acute lesion, a gradient-echo MRI performed within the first 48 hours revealed a left cortical parietal microbleed (MB). The authors argue persuasively that the MB was probably responsible for the patient’s symptoms and was likely associated with cerebral amyloid angiopathy (CAA). The authors suggest that patients with known or probable CAA (especially those with Alzheimer’s disease) not undergo thrombolysis or anticoagulation for a possible ischemic stroke until amyloid-associated MB is excluded. Safouris A, Gazagnes M-D, Triantafyllou N, Tsivgoulis G. Cerebral amyloid angiopathy-associated microbleed mimicking transient ischemic attack. J Neurol Sci 2015;351:198-199. 2) In an accompanying editorial, Andreas Charidimou provides a succinct and useful perspective on cerebral amyloid disease. 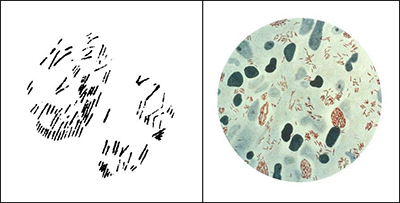 He points out that sporadic cerebral amyloid angiopathy (CAA) is a common neuropathological finding in the aging brain, and it is especially notable in the brains of individuals with Alzheimer’s disease. CAA is an important risk factor for spontaneous lobar intracerebral hemorrhage and anticoagulant — associated brain hemorrhage. Dr. Charidimou points out that transient focal neurological spells, sometimes called “amyloid spells,” are well described and probably more common than is generally appreciated. Since these transient episodes can be misdiagnosed as TIAs, he emphasizes the importance of obtaining a brain MRI to exclude a microbleed in the investigation of older individuals with otherwise unexplained transient neurological episodes. Charidimou A. Elderly and forgetful with transient neurological spells: A story of two amyloids? J Neurol Sci 2015;351:1-2. 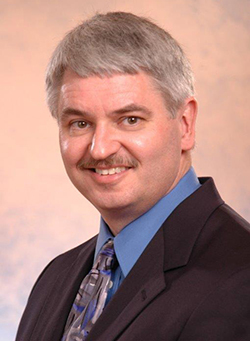 Dr. England is the editor-in-chief of the Journal of the Neurological Sciences. 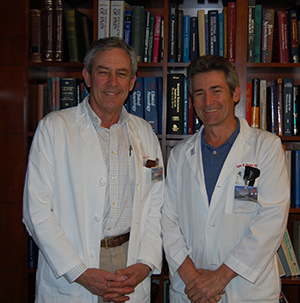 The neurosonology team members created a training program, titled “The Neurosonology Professional Diploma.” The course is designed in five comprehensive modules to be presented annually from October to June, and provides candidates with basic theory and practical skills in commonly applied neurosonology techniques. The NSRG of the World Federation of Neurology reviewed the program and certified it as an outstanding high standard teaching program. Many candidates already expressed their interest in it. Full details of the program can be found at www.medicine.cu.edu.eg/cunu/index.html. Submitting the name(s) of the individual(s) in question to the Secretary-Treasurer General, c/o the London Secretariat office, to arrive at least 30 days prior to the date of the Council of Delegates meeting. Membership to IHS will be provided to participants without charge if they are from a country listed as one of the 100 poorest countries in the world. The meeting covered a wide range of important topics related to headache and pain medicine. The first part of the event ran on the website and involved the theoretical reading of basic papers and live international webinars. 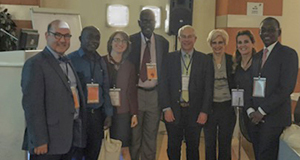 The second part of the meeting brought together more than a dozen world-renowned headache and pain experts to teach and mentor the junior physicians from Africa and Turkey. Teaching lectures, interactive sessions, case-based learning and practical interventional courses took place in Istanbul during four days. Professors assistant, professors and residents from African universities took part in lectures, cases presentations and discussions. Day 1 was the opening with welcome statements from Bolay, trustee of IHS and convener of the meeting; Prof. Najib Kissani, neurologists at the of University of Marakesh, Morocco; Rapoport, president of International Headache Society from the University of California, Los Angeles; and Siva, president of Turkish Headache Society, from Istanbul. It was followed by lectures. Attendees of the first Turkish African Headache and Pain Meeting with IHS staff. Yohannes W. Woldeamanuel, trained in neurology in Ethiopia (2009-2013), is an IHS scholarship awardee and post-doctoral fellow at the Stanford Headache Program. He reported on ‘’Burden of Headache in Africa and Emerging Challenges.” Woldeamanuel emphasized that headache was the 13th cause of YLDs in 2010; migraine represents 15 percent of Africa’s DALYs. In Africa, it is noted a great number of seconday-type headaches from infectious disorders (WHO, 2011, Atlas of Headache Disorders and Resources in the World; Woldeamanuel, 2014, J. Neur. Sci., 342). He suggested collecting more population data with incidence and prevalence rates, prospective research to increase awareness about pain and headache, and more research about traditional management. countries, there is still great lack of specialists for taking care of pain. Prevalence of migraine in Morocco is estimated to 13 percent. Eighteen percent of patients suffering from headache have at least visited one or many healers (Kissani et al, 2009). Results of research supported by ‘’Lifting the Burden: The Global Campaign to Reduce the Burden of Headache Worldwide” Initiative revealed that 85 percent of the 3,600 interviewed people reported more than one headache last year. About 22.5 percent of them suffered from chronic headaches: tension type (48 percent) and migraine (26 percent). Fifty percent used modern medications (55 percent paracetamol; 10 percent aspirin; cost: $22/month). (Some use of combinations also are reported). Ten percent reported consulting traditional healers. Hellen Kariuki, professor of physiology at Nairobi University, reported on ‘’Natural Traditional Methods to Overcome Pain.” She reported about the dramatic and rapid change of Africans’ lifestyle. Plants are rich sources of pain management around the world. She described some plants that are used by local tribes as painkillers. She discussed how to benefit from these findings and local oportunities to concretely improve management of pain in developing countries. Rachid Bezad, professor of gynecolgy (Morocco), discussed ‘’The Contribution of Morocco and Africa to Medicine” and described the health system in Morocco and the opportunities of training and cooperation offered by his country. Days 2-4 were dedicated to various lectures, cases presentations and practical courses (such as group learning with patients suffering from headaches and practical training in invasive analgesia techniques, peripheral nerve blocks, trigger point injection and acupuncture). 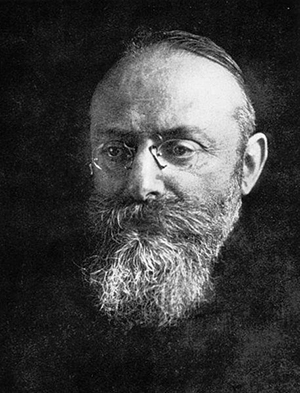 Various thematic topics were developed during exciting lectures: classification and evaluation of headache; how to investigate headache patients in restructed resource-setting; choice of treatment options; migraine headache and its mechanisms and management; chronic daily headache and its neurobiology and differential diagnosis; history taking of headaches and pain by specialists; secondary headaches; headaches attributed to infections; women and headache; headache in children and adolescents; chronic pain disorders; and invasive treatment in headache and pain. From left to right, Aksel Siva, Mustafa, Dr. Ozge, Pr Ndiaye; Alan Rapoport, Hayrunnisa Bolay, Dr. Uluduz and Gallo Diop. The meeting was successful in all aspects: organization, scientifc program, and social and friendship environment. This educational meeting was an excellent opportunity to learn about the diagnosis and management of headache and pain disorders, new developments in the science of headache medicine and the care of headache sufferers. Through the meeting, everybody has learned more about the current conditions in and requirements for headache in Africa. The meeting will promote the cooperation and interactions among headache specialists from the IHS, various headache societies across African countries, Turkey and worldwide. It was a contributive additional action for the vision of World Federation of Neurology to promote, via its Africa Initiative, training and exchanges as a leveraging opportunity for trainees and specialists continuing professional development in Africa. This meeting comes also as an additional contribution of Turkish Neurology Society in regard to this aim, because this country is already offering (over three years) two scholarships per year, for a month short-term training in neurology departments of Turkish universities for young African neurologists. Next plans will aim to educate young leaders and increase skills for and knowledge about headache and pain management to alleviate pain and increase quality of life of people with headache disorders throughout Africa. 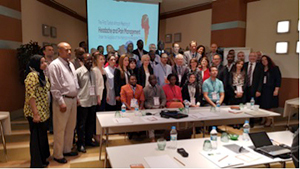 A short- and long-term plan of action has been discussed and will increase the implication of Turkey, IHS and other specialties to fulfill training needs in Africa, in addition to their various contributions during the Regional Teaching Courses organized by European Academy of Neurology and WFN in Africa for 8 years. For more information, visit www.tahpm.org. The medical book publishing industry is challenged nowadays to turn out products quickly and efficiently, lest the rapid dissemination of today’s scientific advances through the Internet render the content of a book out of date on arrival. 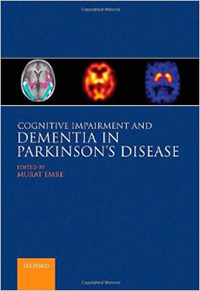 The second edition of Murat Emre’s “Cognitive Impairment and Dementia in Parkinson’s Disease” has avoided this fate, in large part because of the organizational skill of the editor and his recruitment of the same authoritative thought leaders that contributed to the first edition in 2010. Hence, this continuity of authorship has allowed for a seamless update of the topics covered before. The co-authors of each of the 22 well- written chapters have handled their assignments with balanced attention to recent discoveries and to the potential for practical application. There is also a healthy regard for the concept that all roads of investigation ultimately lead back to the patient, whose struggle to cope with the twin burdens of progressive motor and cognitive impairment in Parkinson’s disease (PD) has not been significantly helped by a true breakthrough in treatment since the introduction of levodopa in the 1960s. 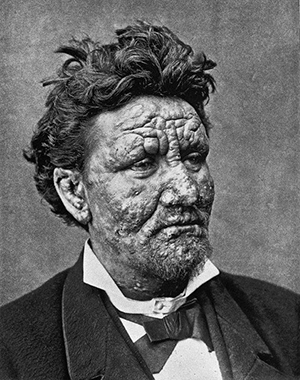 The failure to develop more effective symptomatic or game-changing, disease-modifying therapies has been one of the great disappointments of modern-day clinical research despite years of valiant effort. 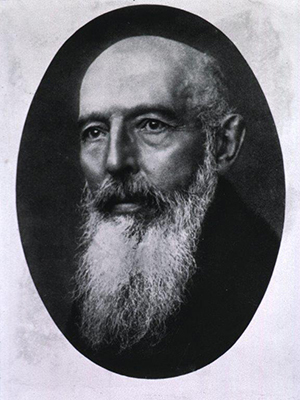 As Dr. Emre observes in his elegant introduction, cognitive impairment as an essential feature of PD was mostly unrecognized by James Parkinson in his essay on the Shaking Palsy (1817) because lack of treatment doomed its victims to a severe physical disability and a shortened lifespan. The stark reality of cognitive impairment in advanced PD became apparent only after the remarkable benefit of levodopa enabled people with PD to function better physically and thereby live longer. Well-designed, long-term cohort studies in the early part of this century revealed not only the shocking news that 70-80 percent of people with PD would develop dementia as they aged and progressed, but also that subtle cognitive abnormalities, particularly in executive function, were prevalent in a sizeable minority at early stages of the disease. This book thoughtfully reviews the important developments in clinical and basic research of the last two decades, and it highlights new and refined information that has emerged in the five years since the first edition was published. References are up to date as of 2013 with a sprinkling of 2014, the year of publication. Early chapters on epidemiology, natural clinical history and neuropsychological assessment are comprehensive and succinct. The differential diagnosis of dementia in the setting of parkinsonism can be difficult, but the neuropsychological profile of cognitive dysfunction in PD, showing the typical executive, visuo-spatial, attention and memory deficits of PD sets it apart generally from Alzheimer’s disease, wherein disturbances of memory and language are the classic hallmark findings. The histopathology of PD is the focus of several chapters, which emphasize the near unanimity of opinion that misfolded alpha-synuclein is the key molecular abnormality and the main component of the signature intracytoplasmic inclusion Lewy body. The clinical and pathological continuum of Parkinson’s disease dementia (PDD) and dementia with Lewy bodies (DLB) is also effectively explained, including elements of the debate over the contribution of the plaques and tangles of Alzheimer disease (AD) as a minority component of PDD/DLB pathology. Current evidence suggests (without being close to consensus) that DLB, which is defined arbitrarily as dementia occurring within a year of the onset of parkinsonism, has a pathological substrate of alpha-synuclein and Alzheimer plaque (sans tangles), whereas the substrate for PDD — dementia beginning more than a year after the onset of parkinsonism — is more likely to be alpha-synclein alone. Another chapter covers the neurochemistry of PD and PDD and the central relevance of the well-known deficiencies of dopamine and acetylcholine as they relate to the evolution of dementia. The ferment in biomarker research — a relatively new phenomenon with great promise for predicting cognitive outcomes in the preclinical and early clinical stages of PD and for identifying subgroups for targeting in clinical trials of new therapies — is included in several chapters. Also since the first edition, official criteria for Parkinson dementia and mild cognitive impairment (MCI) in PD have been established under the auspices of the International Parkinson and Movement Disorder Society, using the model of the Petersen criteria for pre-Alzheimer MCI. Several chapters on recent findings in brain imaging are well executed, although it could be argued that all imaging should have been condensed into a single chapter. One of the hottest areas of research in the basic science of PD is the rapidly expanding field of Parkinson genetics. The chapter on the genetic basis of PDD is excellent and comprehensive. Ian McKieth and Murat Emre join forces in the pentultimate chapter to discuss management of PDD and DLB, and the result is a masterful presentation of a humane message about the time-honored clinical fundamentals of taking a good history, listening empathically and caring long term for the patient and family. “Cognitive Impairment and Dementia in Parkinson’s Disease” is a solid achievement. The authors have created an informative and useful compendium of the universally accepted wisdom as well as the latest more controversial advances in the field. It is easy for an armchair reviewer to find fault with even the best publications, but there are a few minor shortcomings here. First, the list of contributors should have included the specific disciplines of each person in addition to their institutional affiliations. Second, some of the references at the end of each chapter were duplicated or unrelated to the citations in the text. Third, redundancy across chapters was generally appropriate for emphasis of the most important concepts and facts, but more careful editing could have minimized useless redundancy. Fourth, the importance of impaired olfaction in preclinical PD and the voluminous body of research devoted to it was all but ignored; olfaction received only a brief paragraph in one of the early chapters and no attention was paid in the chapter on biomarkers. And fifth, there was no mention of the so-called “prion hypothesis” that has been invoked in the last several years to explain how alpha-synuclein pathology spreads rostro-caudally throughout the brain as the disease progresses and leads to the development of dementia. These small quibbles hardly detract from the many assets of this fine contribution to the growing shelf of literature on one of the most pressing problems in clinical neurology. Neurologists across the world deal with various disorders of the brain with vast numbers of individuals affected. For example, every year, 15 million people worldwide suffer a stroke, nearly 6 million die and 5 million are left permanently disabled. Every six seconds a stroke kills someone. Stroke claims more than twice as many lives as AIDS. In fact, stroke continues to be responsible for more deaths annually than those attributed to AIDS, tuberculosis and malaria combined. The burden of stroke now disproportionately affects individuals living in resource-poor countries. Epilepsy affects 50 million people across the world, and seven out of 10 receive no medication. Parkinson’s disease affects 6.3 million; MS affects 2.5 million; and, in addition, neurologists deal with monumental numbers of those complaining of headaches and all other disorders affecting the nervous system. Moreover, the WFN has always applied the principle that there is no health without brain health. The first WHO ministerial conference on Global Action Against Dementia was held March 16-17, 2015, in WHO headquarters in Geneva. More than 400 participants attended. The conference was hosted by the WHO and organized by the UK government and the OECD. 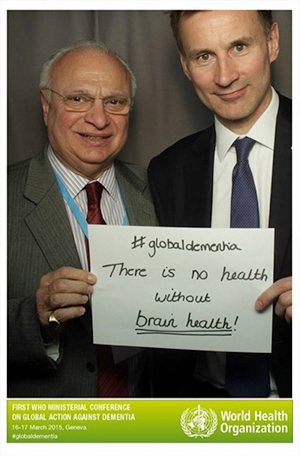 This is an important milestone in the global action on dementia. One would have thought that neurology would be one of the cornerstones of the global action both in the early detection, confirming a devastating diagnosis, participating in research into diseases of the brain causing dementia and being part of the ambition to have a cure by 2025. It is for all these reasons the World Federation of Neurology representing more than 45,000 neurologists worldwide was delighted to attend and express its views. Neurological disorders, whether affecting the central or peripheral nervous system, are the major cause of death and disability. The aim of the WFN is to have more training for medical graduates in the field of neurology so that the best possible service can be provided to those afflicted with neurological diseases. However, the inclusion of neurological diseases in the UN NCD declaration of 2011 is only marginal (Item 13bis) in spite of the significance and the devastation caused by diseases of the nervous system2. In the WHO departmental structure, neurology falls under the department of mental health and substance abuse, which seems no longer applicable. The creation of a WHO department of brain health, in order to encompass all forms of dementia, neurodegenerative noncommunicable diseases and the whole of mental health and neurology/neurosurgery is long overdue. The World Alzheimer Report 20133 rightly emphasized the complexity and difficulties encountered. Perhaps one missing element in its overarching, supporting and research recommendations is that governments should do their best to have specialists in the field of brain diseases involved early in the diagnosis and management of dementia. Moreover, those neurologists with scientific interests should be the ones working in translational clinical research aiming at discovering a disease modifying therapy or ultimately a cure. Just as we cannot underestimate the role of neuroscientists in this endeavor, that of clinicians has to be equally important. Advances in early diagnosis and clinical trials have been galloping over the past few years4. As for the recent Ministerial Conference on Dementia, U.K. Secretary of State for Health Jeremy Hunt gave an eloquent speech on combating dementia. (See Figure 1.) This is most appropriate as the U.K. was the sponsor of the G8 Declaration on Dementia in December 20135. The establishment of the World Dementia Council and the appointment of the World Dementia Envoy followed. The two-day deliberations of the topic were most informative, and many expressed the view that a “pandemic” is staring the world in the face. The fact that the numbers will triple from the current 47.5 million by 20506 is frightening, and work needs to be very quick and productive. However, the difficulties of producing new drugs in the field of neurodegenerative disorders were emphasized and the complexities of various causes of dementia are clear to see. The only plausible way forward for research is to combine work on neurodegenerative disorders and look at all possible causes and their pathologies. The G8 global action against dementia is committed to the “ambition to identify a cure or a disease modifying therapy for dementia by 2025.” The WHO ministerial conference was an extension and a report on the endeavor so far. The WHO and its partner organizations are now moving to confront this most threatening of neurological diseases. The role of neurologists alongside psychiatrists collaborating with primary care physicians cannot be underestimated. This way, we will create a closely knit group working with patient organizations and governments to try and achieve the G8 ambition to deal with the complexity of all the causes of dementia. Training more young medical graduates in the field of nervous system diseases will create subspecialists who can make an accurate diagnosis and follow the proper pathway in recruiting individuals affected by various neurodegenerative conditions in the correct trials if we are going to achieve the ambition expressed in the G8 declaration. Time and direction are of the essence. 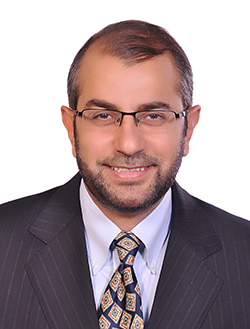 Shakir is the president of the World Federation of Neurology. Neurological Disorders: Public Health Challenges. WHO 2006. World Alzheimer Report 2013. Journey of Caring. An Analysis of Long-term Care for Dementia. Published by Alzheimer’s Disease International (ADI) London. September 2013. 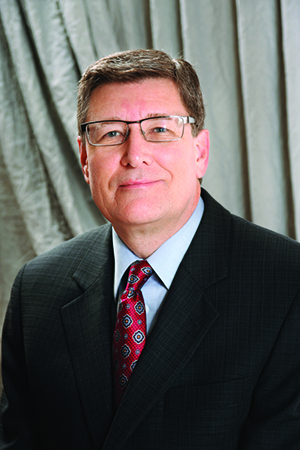 Bateman R. Alzheimer’s Disease and Other Dementia; Advances in 2014. Lancet Neurology; 2015; 14:4-5. UK Department of Health. G8 Dementia Summit Declaration. https://www.gov.uk/government/publications/g8-dementia-summit-agreements/g8-dementia-summit-declaration. The Lancet Neurology. WHO Takes up the Baton on Dementia. Lancet Neurol 2015; 14:455.Editorial.